Ive managed to find a supplier of 6inch linkoloons. He only has white at the moment but advertises on his site that colours are currently available. I think if enough of us were to "enquire" about colours, we could create a demand which may spur this supplier and speed him up. Heres the site, you have to enter linkoloons in the search function and click on the white linkoloon. Linkoloons are very useful in many sculptures and decor projects. About 3 years ago i was going to get married so i surfed the net for white balloons. I was going to order 1000 but the trader didnt get back to me. While i was surfing i stumbled across balloon decor and loved it. Me and the old man went to a one day course and then i started to invest in equipment, it was expensive and i ended up selling at a loss. I did a bit more surfing and discovered balloon sculpture, this time i was well and truly hooked. Such a versatile art where the skys the limit, literally, and it dont cost too much to set up. Like the very hungry caterpillar, i just cant get enough of new concepts/designs especially the weaves. 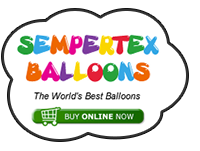 Did you know that balloon art is popular in at least 58 countries? Having just found out that its the proteins in latex which adhere to the powder inside and is dispersed when the balloon is used, i did a bit of surfing. Latex allergies are on the increase which is a worry to all of us. 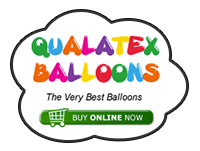 Its stretchy enough to be used for entertainer balloons altho they wont be available for one to two years from now. Made from the Guayule (pronounced why you lee ), a desert plant, which is perennial so theres no replanting and the wood from these 3ft plants can be used, similar to maple. Well its that time of the year again and on 14th November im hoping to fundraise (as part of pr and marketing) I will be making one balloon bears with a scrap of white balloon with spots for the eyepatch. Just the addition of the eyepatch made all the difference, he was instantly recognisable. Last year it was the local diy superstore, i was there for 4hours and raised 60 squid. I made a bob the builder for the manager. Still looking for a venue for this year. Anyone else got any plans? please please does anyone have any blue 350 or 360s. I only need enough to make a blue teddy. This is for a baby funeral THIS FRIDAY and its wednesday already. I really thought i had this colour and size but today when i looked, HORROR not one to be seen. check out this amazing balloon sculptor Jason Hackenwerth, you have to scroll down 2/3 of the page. Im almost too embarrassed to put this on here, but i dont want anyone to make the same stupid mistake. I put my decorating stuff on ebay. It was worth over £200 and id been storing it, hoping it would make me money some day. The whole lot went for less than £4..............I felt very sick, i couldnt back out. All my precious stuff, i would rather have given them to charity. All that money i spent on it thinking it was an investment for the future. Im not sure where to post this but here goes. I have some balloon decorating supplies for sale. I bought them awhile ago but got into twisting and lost interest. foam wire 11 yards (minus 4inches shrinkage in storage)neon, 1 reel of each colour. I also have lots and lots of curling ribbon on reels in different sizes and widths up to 1200 metres on the largest reels, but its a bit heavy to post so you would have to come to brighton to pick them up. thats about it for now, im still sorting my stuff out. Hi, i did a fundraising event at a local department store and we couldnt make the models fast enough, they sold like hot cakes. However after 4hours twisting my fingers got very sore. I wonder how i would manage if i had 4hours work most days. Does anyone have any tips about prevention or treatment please. Hi there, i live in brighton. I have been bitten by the twisting bug for almost 3 years now.